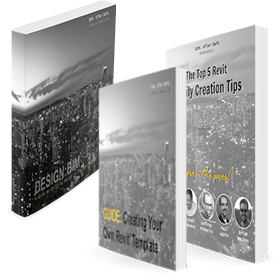 I bet you read the title of this post and said "no way, you can't do that in Revit!!". I said the same thing when I saw "snowyweston" mention it on a thread over at Revit Forum. 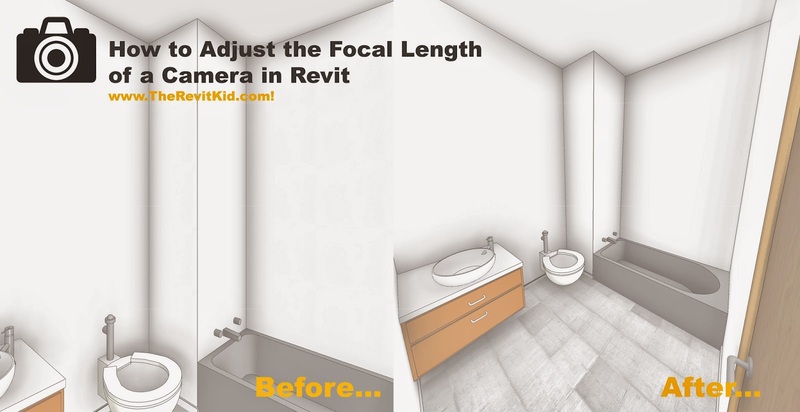 Well, you most certainly can adjust the focal length of a camera view in Revit. I have no idea why Autodesk decided to make this a "hidden feature" but the secret is out now! How many times have you placed a camera in a space (especially a small space) and had to stretch the view and skew everything to make it all fit?! Not anymore! The days of skewed furniture and weird perspective are over! This is going to be a real "face-palm" moment for you. I know it was for me! Click the "Full Navigation Wheel" on the right of your screen. With the navigation wheel open, right click the wheel. 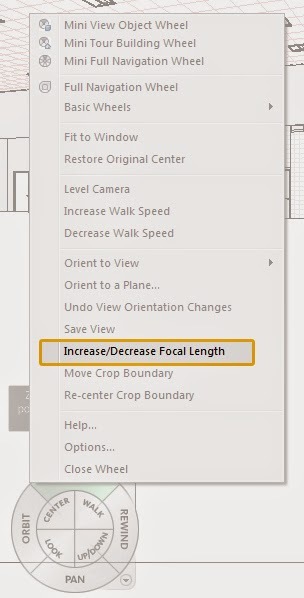 Left-Click where it says "Increase/Decrease Focal Length"
Thanks for the tip snowyweston! !